Lithium-ion batteries are probably the most popular and common type of battery for portable devices such as smartphones and tablets. One major disadvantage though, is that their lifespan and performance has appeared to hit a ceiling as of late, which leaves many electronics companies facing complaints of reduced battery endurance. This effect translates to reduced screen-on time, which is an issue for people who are on their phones or tablets all day, and use resource-intensive apps to get what they want out of their personal pocket computers. Similar batteries are also used in electric cars, although they tend to have a much more extensive architecture compared to typical brick-like phone batteries. Nevertheless, lithium-ion technology may be holding back the range of these vehicles. Novel solutions to this problem include new battery structures such as EMBATT, the results of German innovation and research. However, it will be years before these new-generation batteries hit the market and find their proper place in electronics with increased endurance and, thus, functionality. In the meantime, moving away from the conventional lithium-ion standard is not feasible, even for the big companies like Samsung. As a result of this, Samsung has commissioned research into new chemistry and possible augmentations for lithium-ion power storage. An example of the results has emerged in a paper recently published in Nature. 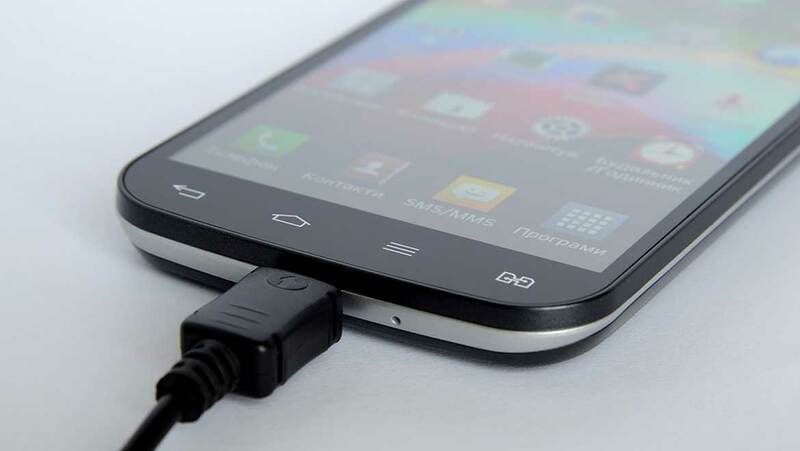 It has been written by Korean researchers, who claim that their new graphene-based adaptations improve on capacity and charging speeds for lithium-ion batteries. This new additive is a molecular assembly of SiO2 (or silica) and graphene, which has acquired the nickname ‘graphene balls’ based on their appearance under microscopy. The team, led by In Hyuk Son of the Energy Material Lab, at Samsung Electronics’ Advanced Institute of Technology in Gyeonggi-do and Jang Wook Choi, who holds researcher positions at the School of Chemical and Biological Engineering/Institute of Chemical Processes at Seoul National University and the Graduate School of Energy, Environment, Water, and Sustainability, Korea Advanced Institute of Science and Technology (KAIST) in Daejeon, claim that the presence of these graphene balls improves conductivity in lithium-ion cells and streamlining the electrochemical reactions within them. Additionally, graphene balls also function as an anode (with a specific capacity of 716.2 mAh/g ), thus enhancing their functionality within batteries for electronics. A graphene ball-augmented cell has a volumetric energy density (measured in Wh/L ) that is 27.6 percent greater than a conventional lithium-ion cell. The team of researchers estimate that scaling this up to a commercial product could offer a density of up to 800 Wh/L. They also claim that this hypothetical cell could also retain approximately 79 percent of its capacity after 500 charging cycles. This property was tested at 60⁰C; which is important as this is the typical operating temperature of an e-car’s battery. The graphene balls are composed of a 20-30nm silica nanoparticle core overlaid by graphene layers, until the resulting structure roughly resembles molecular popcorn. The graphene is ‘grown’ onto silica using a chemical vapour deposition (CVD) technique. The silica core gives each ball its high specific capacity, and prevents the formation of undesirable impurities such as carbides at the silica/graphene interface. This ensures an even coating onto a cathode (nickel-rich layers, in the case of this study). A graphene-ball coating improves the interface between electrodes and electrolytes, thus also improving the electronic conductivity over the cathode. The graphene-ball coating was set in place using a mild, but rapid, milling process known as Nobilta. The team found that it increased the weight-percentage (wt%) of active materials on their Ni-rich cathode from 92 to 97. They also concluded that only 1wt% of a cell needed to consist of graphene balls to elicit its positive effects on its electrochemical properties. The resulting increase in Ni-rich cathode material occupancy increased the volumetric capacity (in mAh/cc) of the relevant cell by 33 percent, compared to a cell lacking a graphene-ball coating. Initially, the team found that the charging capacities (which is determined by a given gravimetric capacity (C)) for graphene-ball and non-graphene-ball cells were similar. However, an increase in charging rate (multiples of C) led to capacities of 31.4 percent at 2C and 126.7 percent at 10C in the graphene-ball cells, compared to non-graphene ball cells. The team also found that a graphene-ball coating reduced unwanted ‘side reactions’ at the electrode/electrolyte interface. These reactions may arise in ‘normal’ lithium-ion cells over time, and gradually chip away at the lifespan of a battery. This is particularly probable during cycles in which the battery is over-charged, or in conditions of increased temperature, during which reactive species such as hydrogen fluoride escape from materials such as cathodes. However, the graphene-ball coatings were able to ‘absorb’ these species, even at increased voltages and temperatures of up to 60⁰C. Scanning transmission electron microscopy also showed the robust uniformity of the coating, and its efficacy in preventing unwanted penetration of the electrolyte into the electrodes; which is also a source of battery failure over time. This new study demonstrates the potential of graphene, and the nano-structures it can form with other materials such as silicon, to improve on battery technology, even within existing chemical architectures such as lithium-ion cells. The team behind it also believe that the addition of their graphene balls to existing Samsung battery technology will require minor changes in process and production methods. This is due to the scalability of the Nobilta process and the compatibility of CVD with ‘smartphone-type’ lithium-ion anodes. Therefore, we may see new, Samsung-produced lithium-ion batteries that are enhanced with graphene balls sooner rather than later. Son IH, Park JH, Park S, Park K, Han S, Shin J, et al. Graphene balls for lithium rechargeable batteries with fast charging and high volumetric energy densities. Nature Communications. 2017;8(1):1561.